I came across an article recently at Design for Mankind, titled “The Self in Self Care“. I was pleasantly surprised to read about the different ways women are practicing self-care. By no means is this a one-size-fits-all kind of thing. I expected to find, yet another article on how we must sleep more, exercise, eat better, etc. Of course, not to diminish those habits, but I like to elevate self-care to something higher. I think getting enough rest is a basic, non-negotiable thing. (Except new Mom’s, sleeping when the baby sleeps becomes a survival skill). What Erin describes is a group of women who practice self-care in many ways, each unique as they are. So one woman squeezes in a nap and another goes into a baking marathon mode. If they were to switch habits, neither one would be satisfied. So the trick is to discover which practice will nourish each of us. What type of activity or rest will re-fill our “cup” so we have more to give? Surely we all recognize that we can’t give what we don’t have. Now comes the toughest part. What can we say “no” to? 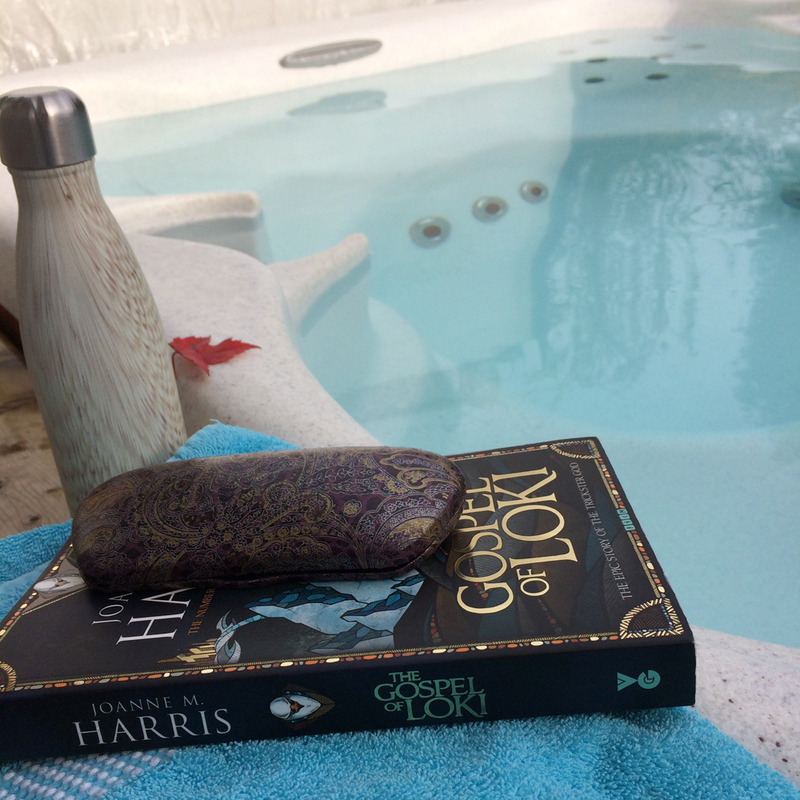 One thing I know for sure is, if I take a book out to the hot tub, no-one will bother me. I can’t hear much of what is going on in the house. My family doesn’t linger around to chat because it is cold outside. I can read for as long as I want, or can stand the heat. Sometimes I get up on the side of the hot tub to cool down so I can stay longer. When I come back into the house, I am a new woman. I am calmer. I can see through the arguments between my children. I can support my husband if he needs it. I have something to give. I’ve taken the time to let the warm water soothe my soul. A bathtub works equally well. It was my haven for the first 25 years, before I managed to buy a hot tub. The benefit of a bathtub is having a light! Then you can practise this ritual Hotin the evenings. I don’t have magic answers to any of the other questions. Each family is different. I think it is trial and error. I also think there is a season for things. I like to sit in the sun and read or knit in the summer. I like to work on my art journal in the winter. I cook more elaborate meals on the weekends. I love family movies on Sunday nights. Oddly enough, going for a run and listening to podcasts is something I look forward to. I’ve tricked my brain into enjoying something that is really good for my body as well. The hard part of self-care is making the commitment to start. Set aside the time to really think about it and plan. Make an appointment to discuss it with your family when your goals are set. This is scared ground. It also sets an excellent example for children, who will need to start this practice for themselves. But more than anything – you commit an act of love in your relationship with yourself. That is more important than anything else. This has taken me a very long time to learn and will require much more practice. At our house, we call self care ‘Cabin Time’. For lack of a cabin (and a hot tub), we have created places in our home or on our acreage that we can retreat to. I’ve extended my ‘cabin time’ to the gym where I ride a stationary bike and read. The library is in the same building as the gym… how awesome is that!